An easy-to-follow guide on how to get your make-up brushes looking brand new for party season. 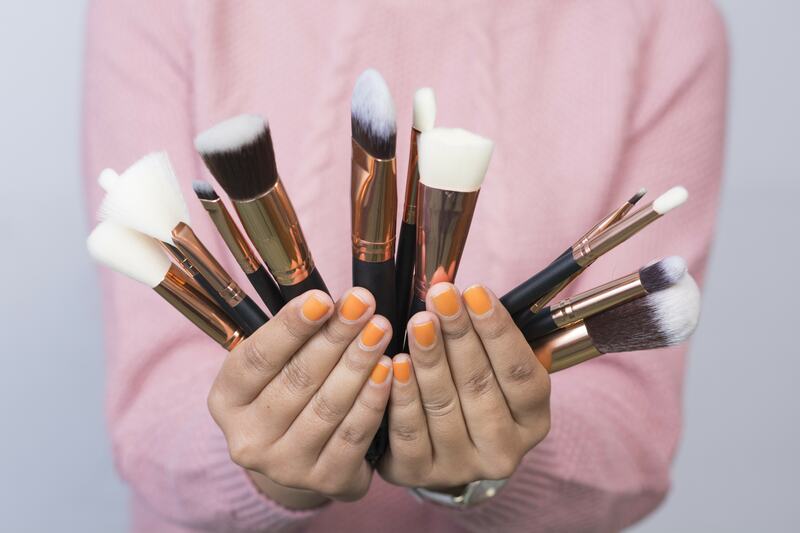 According to dermatologists and make-up artists, we should be washing our make-up tools – especially foundation and concealer brushes - on a weekly basis. Applying products with dirty applicators can clog pores and spread bacteria, causing breakouts. Brush hairs and sponges are porous so they hold on to oils, remnants of make-up and bacteria. Bobby Brown - world-renowned make-up artist says that brushes used around the eyes should be cleaned once every two weeks. Wet the brush with lukewarm water. Keeping the tip of the brush pointed down, put a small amount of baby shampoo and water onto the palm of your hand and gently massage the bristles into your palm. Repeat the above process until the water runs clear. Squeeze the excess water out of the brush with a clean towel. Lightly spritz the damp brush with rubbing alcohol to eliminate any lingering germs. You can get a professional brush spray to use daily in between your deep cleaning such as the Elf Daily Brush Cleaner. This will ensure you’re getting rid of any bacteria gathered in your brushes in between washes. Don’t leave your brushes to soak in water, the hairs can come loose if you do this. Don’t squash your brush face down onto a tissue or towel to clean it- you will damage the brush by doing this. While washing the brushes, try to keep the base of the brush head away from the water and shampoo. Again, this can cause the glue to disintegrate and the bristles to shed. Mario Dedivanovic (Kim Kardashian’s make-up artist) swears by his concoction of baby shampoo and tea-tree oil for cleaning his make up brushes. Tea-tree oil is antimicrobial and helps kill acne-causing bacteria.